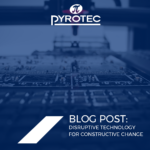 An exciting new opportunity has opened up at Pyrotec Cape Town. 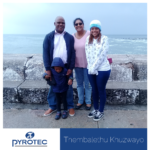 Pyrotec is a privately owned South African company that specialises in providing innovative and top-quality product identification solutions. The company’s extensive service offerings include on-pack product identification solutions including self-adhesive label systems, coding and labelling equipment as well as self-adhesive products suitable for businesses and homes. Our Graphics department will be providing the opportunity for a dedicated, hardworking individual to join their department. On the job training shall be provided to the successful candidate by our qualified Graphics team, as well as the candidate shall be provided the opportunity to study towards a recognised external qualification. 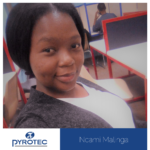 Pyrotec will pay for the candidate to complete a recognised qualification and whilst studying and working, the candidate shall be paid a stipend. IMPORTANT: Please do not apply for this position should you see it as a stepping stone to Graphic Design. This is a DTP Trainee position and it WILL NOT eventually lead to the ideal candidate working as a Graphic Designer. Should you feel that you are the ideal candidate, please email your CV to employment@pyrotec.co.za. When applying please quote the job title and reference number (PYRO091W) in the subject line. Should you not quote the reference number; your application will not be viewed. If you do not hear from us within two weeks of submitted your CV, please consider your application unsuccessful.